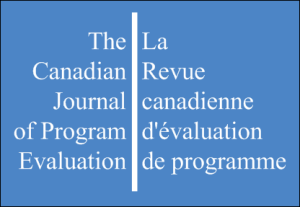 The 2017 CJPE (Canadian Journal of Program Evaluation) Award was given to Catherine Donnelly and Michelle Searle for their paper "Optimizing Use in the Field of Program Evaluation by Integrating Learning from the Knowledge Field." The selection panel offered the following commentary on the article. By the term ‘Knowledge Field' Donnelly and Searle mean the area of study that examines complex processes underlying the generation, dissemination and use of knowledge. In the health area, this field of study is known as "Knowledge Translation". In the social science and humanities it is referred to as "Knowledge Mobilization". Donnelly and Searle recommend that evaluation practitioners and scholars who are interested in learning more about the processes which yield practically useful evaluations should tap into the rapidly growing body of literature on Knowledge Translation and Knowledge Mobilization. The panel lauds the authors for pointing the evaluation community to sources of new thinking about evaluation use. A reciprocal sharing of ideas between evaluators and specialists in the translation and mobilization of knowledge should be beneficial for all concerned. We should be able to learn more about the processes that lead to useful program evaluations and they should become more aware of the depth of evaluation scholarship. Selection of the best article proceeded as follows. The CJPE editorial team reviewed all articles published since the 2016 selection and identified their top five. An external panel comprised of Courtney Amo, Michael Obrecht, and Souraya Sidani then independently assessed the five articles using a benchmarked rating scale. The panel met by teleconference to review the means of their ratings and rankings and select the best article.